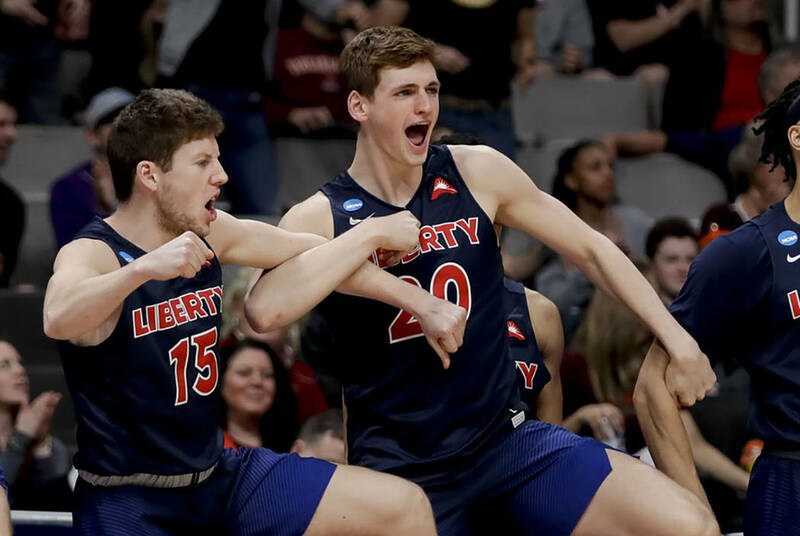 Bettors looking for live underdogs and upsets on their brackets found plenty of them in the first round of the NCAA Tournament. Las Vegas sportsbooks came out on top the first two days, but the betting public cashed in on several underdogs. No. 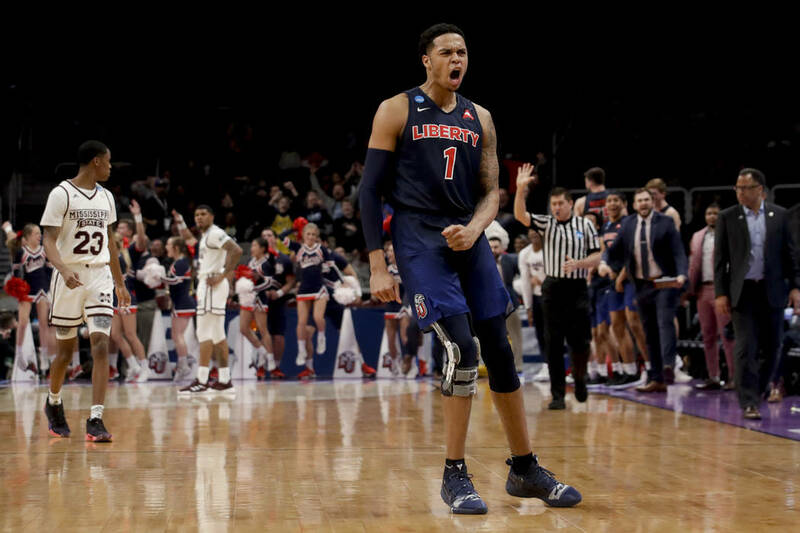 12 seeds are 4-0 ATS with three outright wins after Oregon (+1½) whipped Wisconsin 72-54 and Liberty (+7) upset Mississippi State, 80-76. Pros and Joes were all over No. 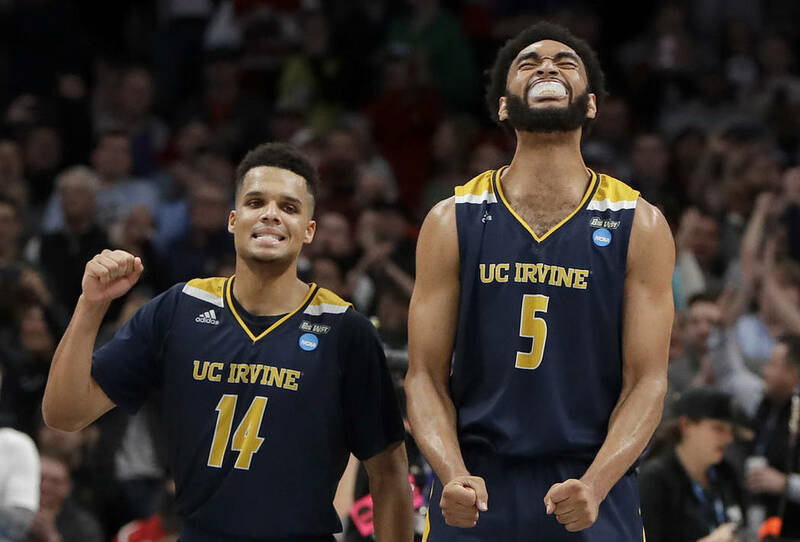 13 seed UC Irvine (+4) and were rewarded when the Anteaters rode a late 14-2 run to a 70-64 upset win over Kansas State. All three No. 1 seeds playing Friday — Duke, Virginia, North Carolina — won by double digits but didn’t cover 20-point plus spreads. A South Point bettor lost a $100,000 straight bet on Duke (-27), which led by 31 before North Dakota State closed the game on an otherwise meaningless 13-5 run to cover in an 85-62 loss. No. 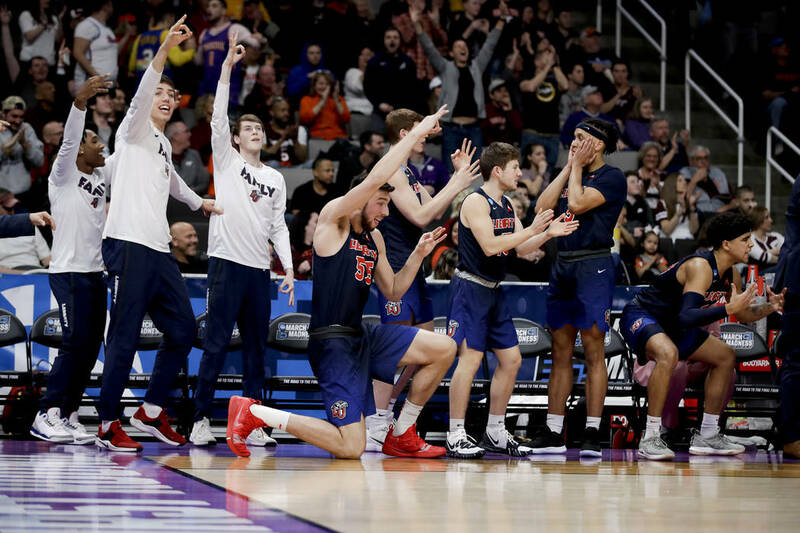 1 seed Virginia appeared in early danger of losing to a 16 seed for the second straight year when it trailed Gardner-Webb by 14 in the first half. But the Cavaliers (-22½) stormed back and were on the verge of covering before the Runnin’ Bulldogs scored the final six points of their 71-56 loss. The Blue Devils also might’ve made a certain Caesars Entertainment bettor nervous when they led the Bison by only four at halftime. Giving new meaning to Vegas Madness, the gambler placed a $150 money-line wager to win $1 on Duke over North Dakota State. Virginia made a William Hill bettor sweat. The gambler placed an $8,750 money-line wager to win $125 on the Cavaliers. A CG Technology bettor raised the stakes on money-line madness, placing more than $1 million on two wagers. The same high roller placed a $500,000 bet to win $27,777 Thursday on Michigan (-1800) and rolled it over for a $527,777 wager to win $37,700 Friday on Texas Tech (-1400). The bettor cleared a little more than $65,000. The books won big on Friday’s first game when No. 10 seed Iowa upset Cincinnati, 79-72. 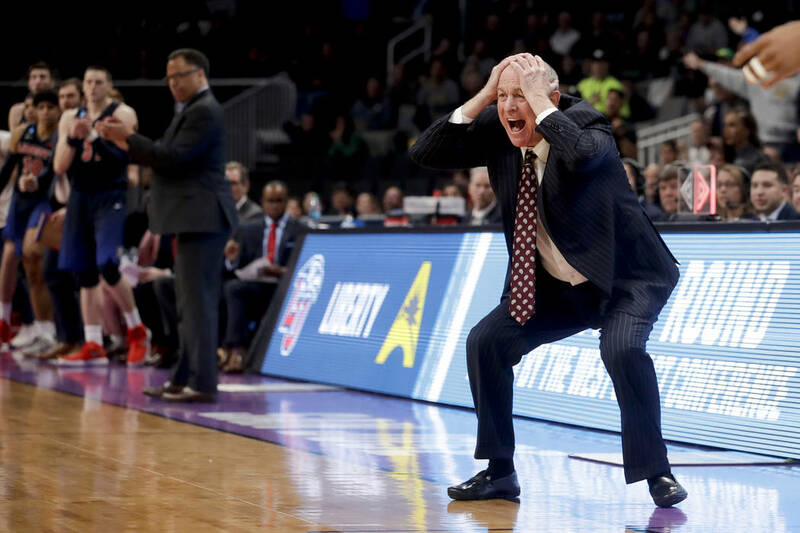 The Bearcats closed as 4½-point favorites after the line opened at 3½. The Hawkeyes trailed 18-5 but broke open a close game with a late 18-5 run. No. 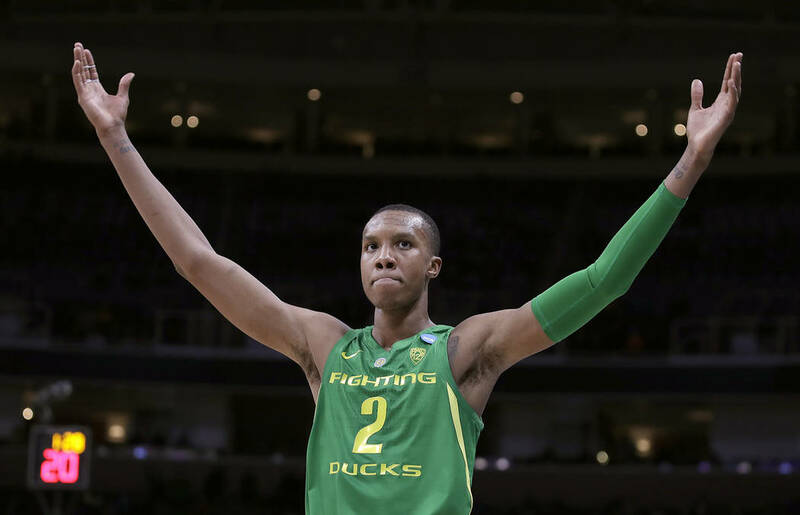 9 seeds Oklahoma (+1) and Washington (+3½) and No. 11 seed Ohio State (+5) also pulled off outright upsets. Texas Tech (-13½) was the first favorite to cover in a 72-57 win over Northern Kentucky. But Red Raiders bettors, including one at the Golden Nugget with a $60,000 wager, had to sweat out the finish. The Bison missed a 3-pointer at the buzzer that would’ve covered the spread. The Station Casinos elimination contest, “Last Man Standing,” drew a record 2,942 entries for a prize pool of $59,625. The pool was almost cut in half after the first day as 1,516 remained entering Friday’s games.